The client envisioned refurbishing their newly purchased 1700 square foot apartment while also taking advantage of the natural light in the kitchen to liven up a dark, small existing dining room. By removing a wall between the kitchen and dining room an expansive space was created allowing light to flood through the living area and further define public from private space. 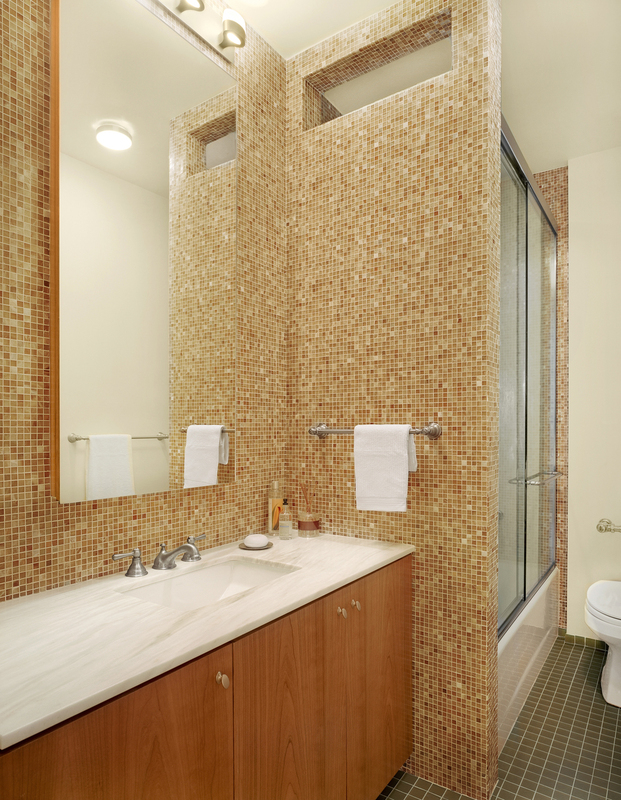 The challenging confines of the master bathroom resulted in a design solution which utilized an oversized mirror and floating vanity to create a more spacious environment. A rich color palette was employed to further enhance the liveliness of the apartment.